Bill and Mary (not real names) had been married for over thirty years and decided to end their marriage. Financially, their marriage had been very successful. They had a mortgage-free residence, separate summer homes that were mortgage free, substantial security and cash assets, and emancipated children. Usually, with so much financial worth, there can be problems in separating these assets in a manner that is acceptable to both parties. However, prior to coming to mediation, Bill and Mary decided that they would divide everything equally. Each had a retirement account of equal value, each had a summer home for vacations, and they had agreed that all the securities and cash would be shared equally. At first blush, this was a mediator’s dream. However, there was one issue that would not go away—the marital residence. Initially, Mary was content to have access to their home during May and June, and then in September and October. She would spend the in-between months at her summer residence out of state. However, Bill was not happy about relocating twice within the same year. The parties reviewed this proposal for a couple of weeks, and we agreed to meet again to try to resolve this issue. When I met with them, Mary’s position had changed. She now wanted to share the residence on an equal basis during May, June, July, August, September and October, by alternating years between her and Bill. Both could use the residence in December, January, February, and March, but, probably, neither would, because of the cold weather during those months. We talked about other possibilities: take a buy-out and build a new residence; take a buy-out and use the money to pay for a rental in the marital residence area for the summer months. But, none of these were acceptable to both parties. 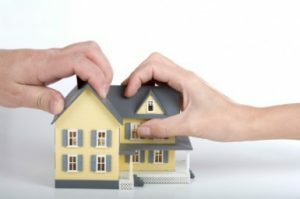 We talked about what a Court might do and concluded that a judge would not want to get too involved and would probably order the couple to sell the property and split the equity equally. Neither wanted that. They agreed on other outstanding issues, but the marital residence remained unresolved. The parties continued to talk, and their empowerment led to a solution: They would alternate the use of the house during prime times on an annual basis for two years with the possibility of agreeing to extend the agreement, with mutual consent. However, if one of the parties did not want to continue the agreement and also did not agree to be bought-out by the other, the parties decided that they would solve the problem by flipping a coin. The winner could keep the house; the loser would receive one-half of the equity. The value of the house would be determined by an appraiser that was agreed to by both parties. With the assistance of a trained mediator, the mediation process, and the ability to talk things through, the parties were able to resolve a difficult issue, efficiently and economically. You can do it! Jerry Fabiano has over twenty years of experience in dispute resolution participating regularly in negotiations, mediation, fact-finding and arbitration. He received his Ph.D. in history and political science from New York University. 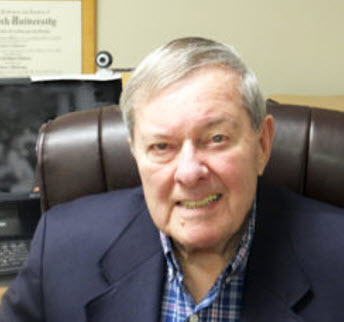 Jerry also served as a professor at New York University, the State University at Oneonta and was the Chairman of the Social Sciences Division at Fulton Montgomery Community College. This article was originally published on the Capital Region Divorce Mediation website on Sep 15, 2017.